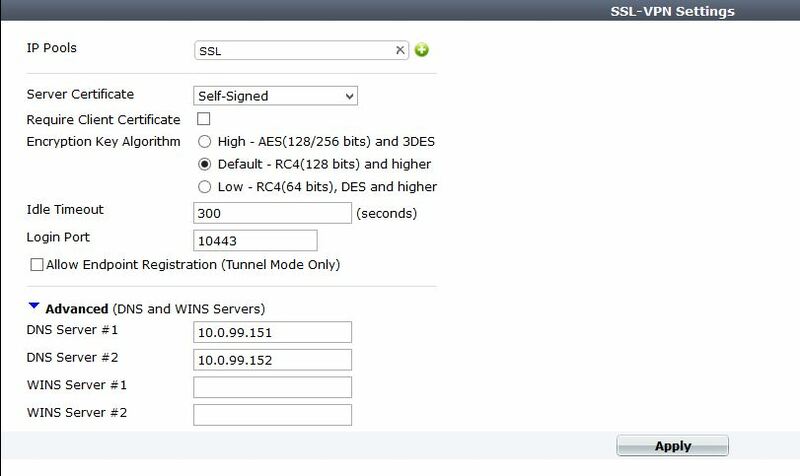 I have trouble with ssl vpn. 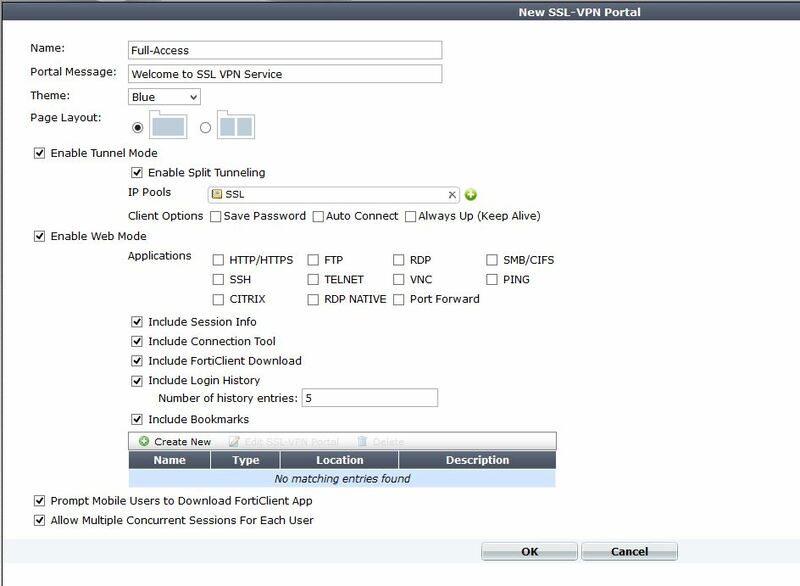 I havel multiple ssl portals and I have multiple policy witch ssl vpn. PING 10.28.1.1 (10.28.1.1) 56(84) bytes of data. I do not understand, why fortigate translate this traffic? Hi Hobitt, I would love to give you a hand at resolving this. I noticed you said it was coming from interface ppp0. I am not for sure if this would be correct. My skype is justin.cottrell7. Add me and we can get this resolved. Also, I see that you have your wan-lan SSL VPN policy, great. But I do not see a Internal to SSL.Root, and the policy SSL.Root to internal. Hy cjcott01, I fixed it. You had right. There was missing the policy from SSL. to internal. I added it. Now the traffic from ssl vpn going through fortigate without NAT. When th epolicy 58 there isn’t, the traffic is NATed and traffic matched by policy id 50. If added the policy id 58 the traffic is not NATed and matched by policy id 58. By Default (in most firewalls, and Fortigate) all traffic between interfaces is blocked. The SSL.Root is a logical interface. 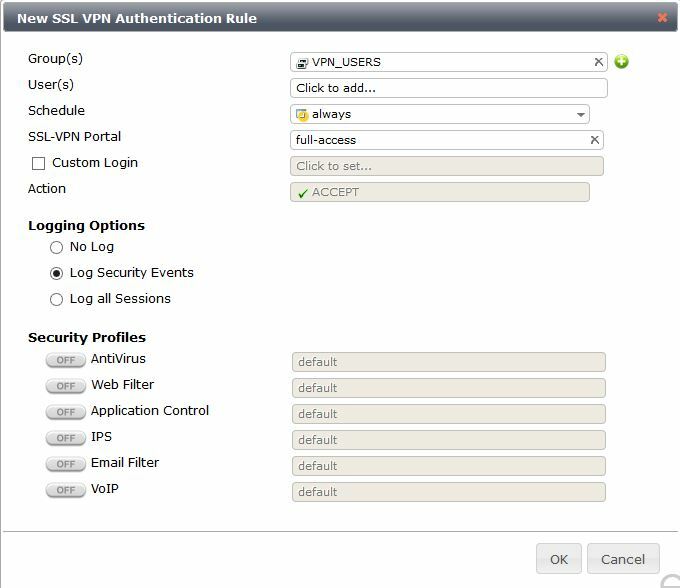 So, even though WAN-Lan sets up VPN, the SSL.Root interface has to have policies allowing traffic. 5.2 restructures this, and actually you only create Firewall policies to allow traffic. Makes things a little simpler. Let me know if I can help with anything else. I have followed your instructions but I can’t get the DNS to work. The user can log in but when they try and access the internal Sharepoint by its name it fails. But if you use the internal IP address it works. Are you using the portal? All dns from the portal is proxied by the FW. Are all settings under – system- network – dns correct? Be glad to help get this resolved. We can do a remote screenshare. It was the system DNS not pointing to an internal DNS server. Working now! So the DNS settings in the SSL – Config will be for Tunnel mode then? That is correct. The portal uses the same DNS as the firewall because it proxys all of the requests. In Tunnel mode you can send any DNS server or domain you want to, because it is a fully separate adapter on the clients pc. A cool option is enabling the DNS server on the fortigate, and doing DNS Doctoring for requests coming inside.